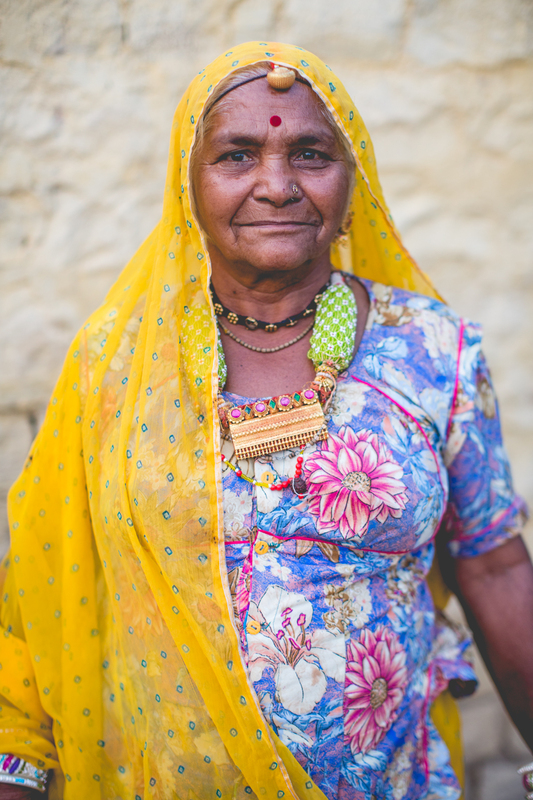 I want to say that I have been dying to share my photos from India with you. Half of me has been. Half of me, though, is conflicted. Since years ago I have always admired the incredibly colorful and expressive portraits of village people and children that photographers come back from places like India with. No doubt that this was one of the reasons I wanted to travel there! Something those photos do not reveal, though, is what's happening surrounding them. And emotionally surrounding them: those village kids who look beyond elated in their photos truly are actually that happy to have their photo taken! - and, see a foreigner. That is something they rarely experience. People (all ages) would actually shout at me / other travelers "photo!! photo!!" when they wanted us to photograph them - and then they'd desperately run over to us to see their photo on the back of our camera and giggle uncontrollably when they saw an image of themselves (they were bummed that some of us shot film!!) Why I'm saying this, though, is that those kids are PSYCHED to see me, to see us, to see a foreigner, really, which feels flattering in a really screwed up way. Because the problem is, we leave. We left. I left. And each time my heart hurt because these people and children I had made a connection with - one family I hung out with (despite a full language barrier) for at least half an hour, communicating as much as we could - when I had to leave, their kids followed me for quite some time pulling on my hand speaking in Hindi but I'm assuming they wanted me to stay. I felt like a tease. Like I had been a tiny distraction from the below-mediocre everyday these children were used to, and then I left as quickly as I had come. How am I supposed to feel about this? My heart aches, but also swells, because the experiences, even brief ones, were so full of love and that's something I'll carry with me always. I'm not sure how to feel. I mean, I know that *I* feel entirely grateful and so full of joy and love about the whole experience - but then there's a little guilt. As a foreigner in most places in India it's automatically assumed I have money. And the fact that I have an expensive camera around my neck definitely adds to this assumption. And there I was, wandering the most poverty-stricken village I've ever seen, smiling at the locals (most smiling back) but not sharing any of the monetary wealth that I know they perceive me of having. To be fair, in villages NO ONE asked me for money. In the cities, begging was constant. But in the villages it was not. So perhaps my perception is all skewed, I'm not sure. But I can't help but feel guilty - I know that I, like so many other tourists who parade through villages getting all kind of attention that makes you feel like you're making a kid's YEAR, just take some photos for our own personal benefit or creative endeavor, whatever it is, and we leave the village with nothing but a wave and maybe another camera click. And then it's over. But on the contrary of all this - I want to make it clear that these people I met in small villages (I was in Chandelao and Sirsi villages) were SO FULL OF LOVE and beyond ready to give everything they had (which was basically nothing) to me, to their family, to their friend, to their neighbor.... but the fact that they wanted to give it to me?! It was beyond apparent that I had more money than them (the fact that I afforded a plane ticket to India is enough to warrant that assumption) and they STILL wanted to share - their food, chai, give me things, take photos with their kids, OF their kids - whatever. If it weren't for the bit of guilt I'm relaying above, I would have left every interaction beaming. However, I did leave every interaction with more faith in the human race and more of a desire to be kind to everyone - EVERYONE I meet. These people who have so little can do it, why can't a person with more resources, like me, do it? I am still revisiting these thoughts / feelings and would love to hear your input and thoughts on the matter. Have you experienced anything similar? What's your take on how to feel in situations like these? Any idea how to give back the love that I received in a sustainable and meaningful way?